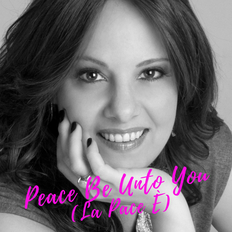 The Song "Peace Be Unto You" Finally Available for Download. With new "World" arrangement by producer Adrian Harpham. Download here. Laurell's performance livestreamed 9/23 at UNIFY.org Peace Weekend Broadcast. Watch live at 7 PM Pacific Time here. Tune in at UNIFY.org all weekend to watch amazing speakers, events for Unity Consciousness and performances in the name of World Peace. Check out Laurell's music video about how we all survived Dec. 21st, 2012. The song is called, "We're All Still Here". Sign Laurell's mailing list below. Purchase We're All Still Here, on ITunes.